You’ve Heard TED…..but Now It’s Time to Hear SUE! Are YOU a Successful, Unstoppable, Empowering Woman Changing the Face of Business?! We Want to Hear YOUR experiences, YOUR journey, YOUR passion, YOUR opinions, and YOUR pursuits in business! We Want to Hear How YOU are Making Your Mark and Leading the Way in Business! SUE Talks are bold, passionate, inspiring and thought-provoking talks that share your unique journey, passion, opinions, experiences and expertise on leading in business! We want to hear what motivates you, what inspires you, what challenges you and what strategies do we, as women, need to implement or consider to get ahead? We also want to hear what lessons you’ve learned along the way to share among other women in business. All SUE Talks are centered around BUSINESS. 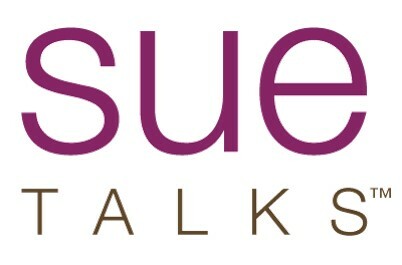 Your stories of overcoming adversity in business, unique experiences of lessons learned or groundbreaking concepts and opinions centered around business are ideal SUE Talks! Each SUE Talk is 12 minutes in length. Upon submission of your complete application, if you are selected, one of our team leaders will reach out to you with further details and instructions. Please complete our submission form below to be considered for our upcoming SUE Talks! For questions or inquiries related to SUE Talks submissions, please contact us or call 800.591.1673. For more details and information on our upcoming SUE Talks events click here for details and to register!